Quickly Detect Airborne Particles, VOCs, Chemical Pollutants, Carbon Dioxide (CO2), Temperature, and Check Humidity in Any Home, Room or Office in Real-Time With Updates Straight to Your Smartphone! Here We Offer The Best Portable Handheld Indoor Air Quality Meter Available at a Cheap Discount Price with Free Shipping! 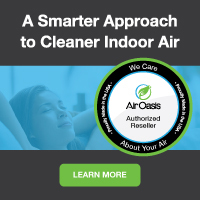 Wondering what your indoor air quality level really is in your home or office? Is it healthy or not? Is your air cleaner doing its job--or not? Well, wonder no more! The Blueair Aware Air Monitoring Systems answers all of those questions and allows you to monitor your air quality right from your smart phone, anywhere, anytime! With Blueair Aware, you can know any time the air quality changes for any reason--such as local pollution levels increasing or if say, the flooring you installed is releasing formaldehyde... Aware can detect VOC's such as formaldehyde, benzene and others, and let you know immediately so your health and your family's health isn't put at risk. Watch this short video for more information on how Aware can help! Designed to quickly detect hundreds of different types of airborne particles, including everything from PM2.5 to VOC’s, such as formaldehyde and benzene in your indoor environment. Place your Blueair Aware in your home or workplace to start collecting your unique air quality data now! You can also monitor your indoor air in real-time, track data overtime, and get alerts from your Smartphone with the Blueair Friend App. To help eliminate allergy triggers, the Blueair Aware also monitors room humidity and temperature. Get The Friend App!